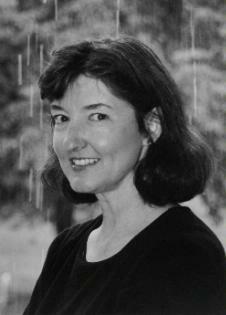 Barbara Kingsolver was born in 1955 in Annapolis, Maryland, and grew up in rural Kentucky. She counts among her most important early influences: the Bookmobile, a large family vegetable garden, the surrounding fields and woods, and parents who were tolerant of nature study but intolerant of TV. Beginning around the age of nine, Barbara kept a journal, wrote poems and stories, and entered every essay contest she ever heard about. Her first published work, "Why We Need a New Elementary School," included an account of how the school's ceiling fell and injured her teacher. The essay was printed in the local newspaper prior to a school-bond election; the school bond passed. For her efforts Barbara won a $25 savings bond, on which she expected to live comfortably in adulthood. After high school graduation she left Kentucky to enter DePauw University on a piano scholarship. She transferred from the music school to the college of liberal arts because of her desire to study practically everything, and graduated with a degree in biology. She spent the late 1970's in Greece, France and England seeking her fortune, but had not found it by the time her work visa expired in 1979. She then moved to Tucson, Arizona, out of curiosity to see the American southwest, and eventually pursued graduate studies in evolutionary biology at the University of Arizona. After graduate school she worked as a scientific writer for the University of Arizona before becoming a freelance journalist.